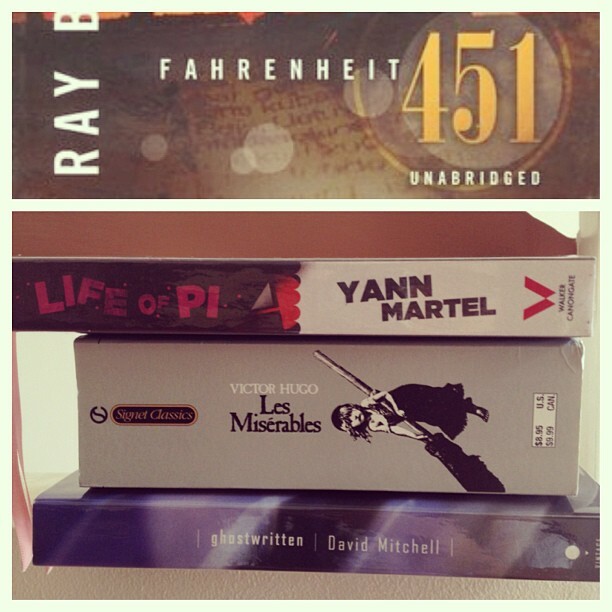 52 Books – upped to 75, when I realized that I will probably reach 52 a bit earlier. Then I got into a reading slump. Heh. But I am at 38 books now, and Goodreads tells me I am 1 book ahead. So yay. 5 Classics – 1 out of 5. Eep. I have to catch up. 4 Chunksters – 2 out of 4. Reading my third this month! Required Reading – I am surprisingly managing this well. There were some books that I postponed reading (for the future (hello, May books), but other than that, I think I hit my monthly goals quite well. 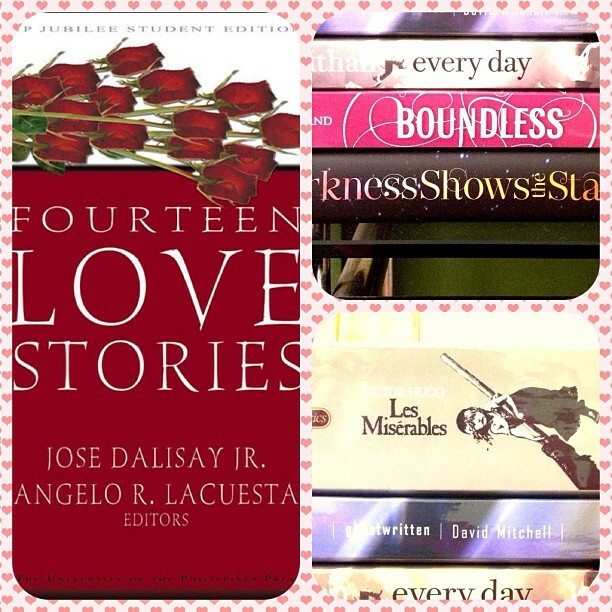 Happy reading for the rest of 2013! As always, I owe this blog a couple of reviews, but it’s not that big of a backlog just yet so I will get to that before I traipse to another country next week. But look, it’s a brand new month, and suddenly it’s February! How can January go by so fast again? I don’t mind. I find that I am actually starting to like February. When I was younger, I kind of didn’t like it because I swallow a bitter pill every February with all the love in the air. But then I realized I should stop being like that and you know, just bask in the love. I’m still reading Les Miserables by Victor Hugo (p. 1110 out of 1463 — almost done!!! ), and Ghostwritten by David Mitchell, so I’m bumping them to February as spillovers. I would’ve just read them in another month but I already started, so let’s just continue reading. Now for February, I’ll be moderating our book club’s discussion for the month. It was our first moderator’s pick, and I realize that February will be quite a busy month, so I didn’t want to pick something thick or too challenging. So I went for the easiest pick (for me anyway): romance. Okay fine, it’s not like I’m expert with that genre, but I didn’t want anything too heavy so let’s go for those quick contemporary romance novellas, right? Interestingly, a short story won in the polls, so this month, we’re discussing Dead Stars by Paz Marquez Benitez. Since it’s just a short story, I wanted to add a bit more challenge in the group, so I came up with a mini challenge — and of course, the theme is still romance. I was kind of surprised with how enthusiastic everyone was and now everyone’s recommending books and movies and TV shows to one another. Oh so much love in the air in our book club! Every Day by David Levithan – I’ve heard so many good things about this one, so I’m excited about this. I haven’t read all of Levithan’s work, but I really liked The Lover’s Dictionary. We’re buddy-reading this in the club, and I’m really liking a lot of lines in this book. Boundless by Cynthia Hand – my good friend Kai lent me the ARC because she knows how much I’ve been waiting for this. Liked Unearthly, loved Hallowed, and I am really, really hoping that this book won’t break my heart too much. My friends put up reading lists, too! THE PI PATEL, INDO-CANADIAN, TRANS-PACIFIC, FLOATING CIRCUUUSSSSS!!! Take one sixteen-year-old boy and cast him away at sea in a lifeboat with a large (and seasick) Royal Bengal tiger. Imagine the scene 227 days later. 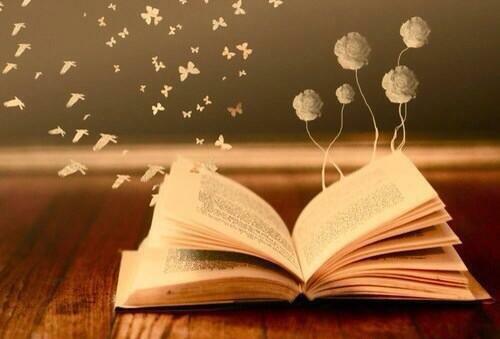 Now read Life of Pi and change your imagination. I’ve had Life of Pi by Yann Martel on my radar since my senior year in college, but I never got it because I couldn’t really afford it on my allowance back then. Later, much later, there were many, many times I could have bought it but I prioritized other books so I didn’t get it even then. One time, during a book club meet-up, some friends were talking about this book so I asked them if they think it was something I would like. I remember someone telling me that I might be bored with it, so I decided to just borrow instead of buy. But alas, I never got to borrow it even after. It still wasn’t in my priority list, up until late last year, when my friends were talking about the books that will soon become movies. I figured, since I was starting to explore outside of the genres I usually read, that maybe it’s finally time to read it. That, and there was the tiger. I love tigers. Tigers are some of my favorite animals. If I could own a tiger for a pet, I would do that in a heartbeat. 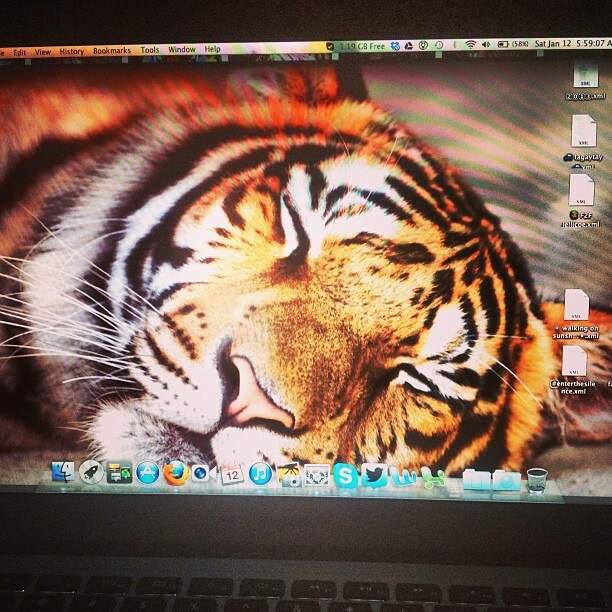 Tiger photos are an automatic reblog in my Tumblr, and I swear, I could stare at them for hours on end. So a big part of my wanting to read and watch Life of Piwas because of the tiger in the story. Piscine Molitor Patel — Pi, for short — is a teenage boy whose family owned a zoo in Pondicherry, India. Pi has lived an interesting life, one that made the author seek him out so he can write his book, intrigued by the idea that Pi’s story can make him believe in God. Life of Piis really, well, Pi’s life, as he grew up surrounded by animals, his quest for (three) religions, growing with his belief and of course, his 227-days in the middle of the ocean after the ship carrying them to Canada sunk, leaving him on a lifeboat with a zebra, an orangutan, a hyena and a Bengal tiger named Richard Parker. I wasn’t sure what to expect with this book, which probably helped me appreciate it. I just knew about the shipwreck and the tiger, but I didn’t know what was supposed to happen around it. I liked Pi’s voice, his boyishness that was slightly tinged with pain of recollection, since the story was being told from the point of view of the older Pi. I liked the lush atmosphere of Pi’s life in the zoo, and all the animal behavior lessons that he shared. It reminded me a bit of all the animal lessons in Animorphs by K.A. Applegate, my favorite scifi series growing up. This made me want to go visit a zoo and observe the animals for myself. I also really liked Pi’s journey into religion. Or religions, rather. I think this is a part that people either really get or don’t get in the book. I don’t claim to get it all completely, but I appreciated Pi’s attempts to find God, even if it meant going to the other religions. It was more of a spiritual journey rather than religious, really, and there were several things that he learned from all three religions that I felt applied to life in general. I liked how Pi learned about God willingly, and I am pretty sure his earlier spiritual journey helped him in his predicament later on. I realized while watching the movie that being stuck in the middle of the ocean with no sign of help or no land is now my worst nightmare. When I am island hopping on vacations, I am always the one wearing a life vest, because I am not the strongest swimmer. In the book, I cannot envision how the ocean can be merciless because I kept on thinking of it as a calm ocean since they were in the Pacific, right? Then I watched the movie and oh my Lord, I never want to be in that situation ever. Especially with a bengal tiger, even if I love that animal. The ending left me…reeling. A friend told me about the twist in the story, but I wanted to be surprised and boy was I surprised. I couldn’t wrap my head around it for a while, and I had my first case of a book hangover for the year, which was extended right after watching the movie. Aaaaand we’re back! It’s that time of the month were we pick books that we want to read for the rest of the days until the next month comes in. :) With that, I bring back my personal reading challenge, Required Reading. Yay! 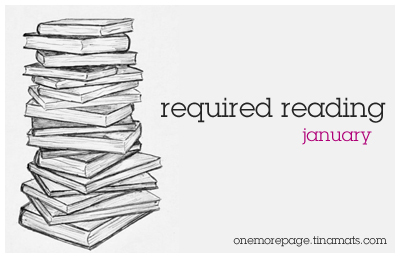 Required Reading is a reading challenge that is really about getting some books off the Mt. TBR. Just as the name of the challenge meant, Required Reading is about choosing some books that must be read within the month. It doesn’t have to be the only books you read in a month, but they should be read (or at least, started) before the said month ends. Books chosen for the challenge should be in the current TBR pile as of the month of the Required Reading post. So if you decided to join at March, the books you choose for the month should be in your TBR pile as of February. Galleys and ARCs can be included. Posting reviews aren’t necessary (but don’t you want that out of the way, too?). I’ll be posting a theme every month but you don’t have to follow that. You can choose a theme for yourself if you want to — what’s important is the books that you put there are books that you want to get to reading. I feel like January is the best time to set reading goals and pick books to read, and I honestly had to resist the urge to pick the 52 books that I plan to read for the rest of the year and go do other things, like check the best selection of custom lapel pins. I felt like choosing them in advance since 52 feels like an easy number compared to say, 100, and I kind of like being OC about it. But since I also like winging it, I had to stop, and had to be content with choosing books for the first month. I wasn’t so much in touch with the blogging world at the last part of the 2012, but I was in tune with what my friends in the book club are reading. So for January, I’ve decided to go for a Recommended Books from several friends for my list. I trust their tastes, so I’m hoping I would like these books too. Fahrenheit 451 by Ray Bradbury – Recommended by my book club. This is our group’s book of the month. It’s going to be fiery discussion, yes? 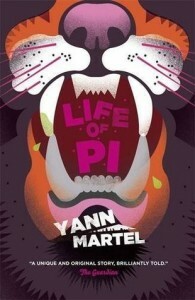 Life of Pi by Yann Martel – recommended by several friends in the club who liked it. Also reading this now to prepare for the movie. I’ve been wanting to read this one since college but I never got myself a copy. I’m honestly looking forward to getting to know the tiger. Ghostwritten by David Mitchell – Recommended by the Mitchell Mafia in the book club. :D I really enjoyed Cloud Atlas last year, and I’m really looking forward to reading more Mitchell this year. So…it’s been a while since my last What I Read post. Apologies — it’s been…well, slow, and busy and quite honestly, I forgot about this feature for a while. I meant to have one a month for this, but alas, I’ve missed two months. Oh well. I did say this is a semi-regular feature, right? Now that the apology is out of the way, it’s time to catch up! 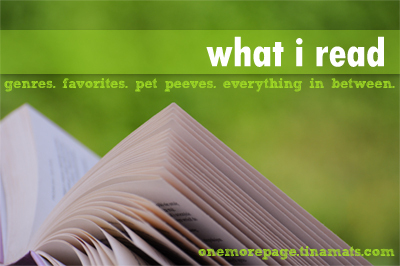 For the third installment of the What I Read feature, I have one of my book club friends with me here once again. A year ago, she sent me an email for an interview in her blog during Armchair BEA week. 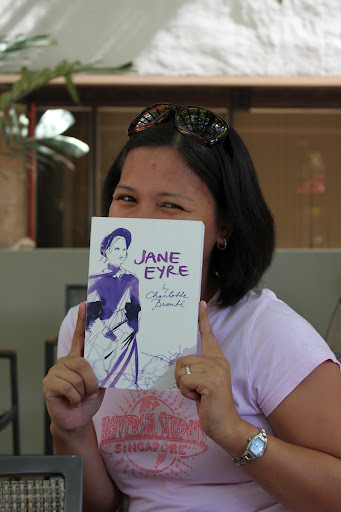 I don’t think we’ve met in person back then — I just knew her from Goodreads and her blog. I got to know her better during one of our book club trips, and we have pretty similar tastes in genres (but not necessarily books). :D I thought of featuring her this month too because she’s the moderator for our Fellowship of the Ring face to face discussion next week. In ten words or less, what kind of books do you usually read?